Major shopping mecca with a wonderful selection of upscale restaurants. Located six miles’ north of Charlotte’s Uptown neighborhood, SouthPark is both a major residential center and one of Charlotte’s most important business districts. An estimated 40,000 employees work in the SouthPark business district. SouthPark is named for the sprawling SouthPark Mall at its center. The SouthPark Mall is the largest shopping mall in North Carolina, with close to 1.8 million square feet of upscale shops and restaurants. year. The Symphony Park amphitheater hosts the Charlotte Symphony’s popular Summer Pops concert series. The SouthPark Mall’s annual Christmas tree lighting ceremony is another seasonal highlight. 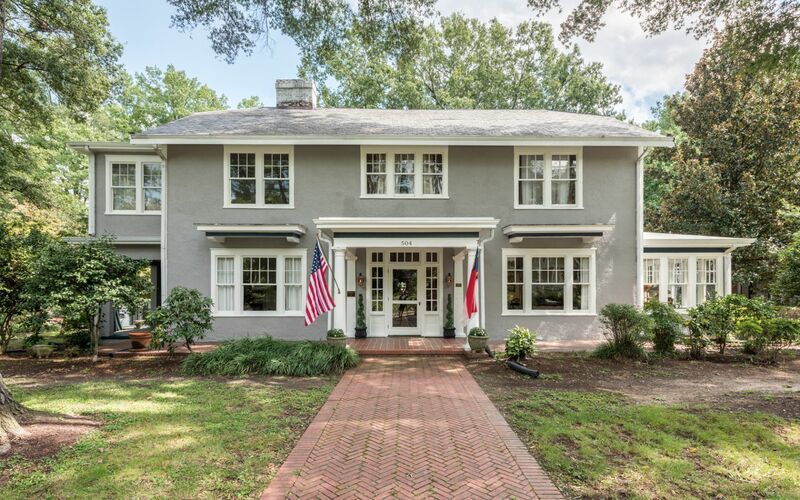 Like many of the Queen City’s neighborhoods, SouthPark has some fabulous examples of well-preserved historic buildings. The Morrocroft Mansion and Rotunda Building are two of SouthPark’s most iconic properties. SouthPark is connected to Uptown by several major thoroughfares, making it easy to access other areas of Charlotte. Much of SouthPark’s real estate was constructed soon after the SouthPark Mall was erected in the 1970s. There are numerous well-established neighbors featuring large homes on tree-streets—typically built in the 1970s and 1980s. Newer estates and residential centers have sprung up around SouthPark in more recent years, giving the neighborhood an eclectic mix of real estate to choose from. The SouthPark Mall contains an incredible array of retail outlets. Some of the upscale brands with a presence at Charlotte’s shopping mecca include Coach, Louis Vuitton, Neiman Marcus, Nordstrom, and Tiffany. There are many more stores outside the mall’s confines, Phillip’s Place being one great example, with an eclectic mix of high-end chains and some of Charlotte’s best locally-owned eateries. Dogwood Southern Table & Bar is one of SouthPark’s best restaurants, serving exceptional regional cuisine in an inviting atmosphere. This chef-driven SouthPark institution has a commitment to sourcing the finest local and sustainable products for all its dishes. Dogwood’s bar has a great selection of creative spins on classic cocktails, while crafts and other works from local artisans are showcased throughout. Oak Steakhouse Charlotte is another fantastic SouthPark restaurant, providing an innovative modern twist on the classic American steakhouse. Expect farm-fresh ingredients served in a delightful Old-World setting, along with an extensive wine list and a wide selection of both locally-brewed and international beers. Other SouthPark favorites include Cafe Monte creative take on French Cuisine and The Palm, where local celebrities can frequently be found dining.